Two Cook School of Intercultural Studies professors — Allen Yeh and Ken Nehrbass — recently published books that offer new insight on cross-cultural perspectives and issues that many Christians face today. Yeh, professor of missiology, authored Polycentric Missiology: 21st-Century Mission from Everyone to Everywhere, where he highlights the crucial missiological issues in the world. Nehrbass, professor of intercultural studies, authored God’s Image and Global Cultures: Integrating Faith and Culture in the Twenty-First Century, which focuses on globalization within culture and the response Christians should have to global issues like immigration. 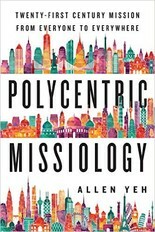 In his book, Polycentric Missiology: 21st-Century Mission from Everyone to Everywhere,Yeh provides insight into the state of world Christianity and contemporarymissiology, as well as chronicles therecent history of world missions through the lens of five landmark missionary conferences on five continents. Yeh is the only person to attend all five. His accounts of the conferences, which include The Edinburgh 1910 World Missionary Conference (“the birthplace of the modern ecumenical movement”), as well as its centenary celebrations Tokyo 2010, Edinburgh 2010, Cape Town 2010, 2010Boston, and CLADE V (San José, 2012), highlight the crucial missiological issues at the dawn of the third millennium: evangelism, frontier missions, ecumenism, unengaged and post-Christian populations, reconciliation, postmodernities, contextualization, postcolonialism, migration, and more. This book is a portrait of a contemporary global Christian mission that encompasses every continent, embodying good news for all nations. Polycentric Missiology: 21st-Century Mission from Everyone to Everywhere is available for purchase on Amazon. Globalization has raised numerous questions about theology and culture for Christians, according to Nehrbass. His book, God's Image and Global Cultures: Integrating Faith and Culture in the Twenty-First Century, asks and highlights answers for how Christians should respond to issues like outsourcing and immigration as well as how anti-Western sentiment affects the proclamation of the gospel. In his book, Nehrbass argues that Christians will be most fulfilled and most effective if they embrace their cultural activity rather than feel ambivalent about it. The central question of this book is how bearing God's image relates to cultural activity. Nehrbass examines the theories of cross-cultural studies from an evangelical approach by writing from a cross-cultural perspective. 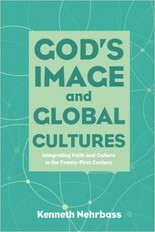 God's Image and Global Cultures: Integrating Faith and Culture in the Twenty-First Century can be purchased on Amazon. Written by Ken Stewart and Brianna Miller. For more information, contact Jenna Loumagne, media relations manager, at (562) 777-4061 or jenna.loumagne@biola.edu.